If you are looking for a product that will effectively work in cleaning heavy oil dirt from surfaces, equipment, machineries, etc. Than your search is over. Thanks to AQUAQUICK GLOBAL for having AQUAQUICK 2000 SP. You can now have a cleaning solution that will not just eliminate oil and grease off the surface, but that will also work to maintain the beauty of nature. 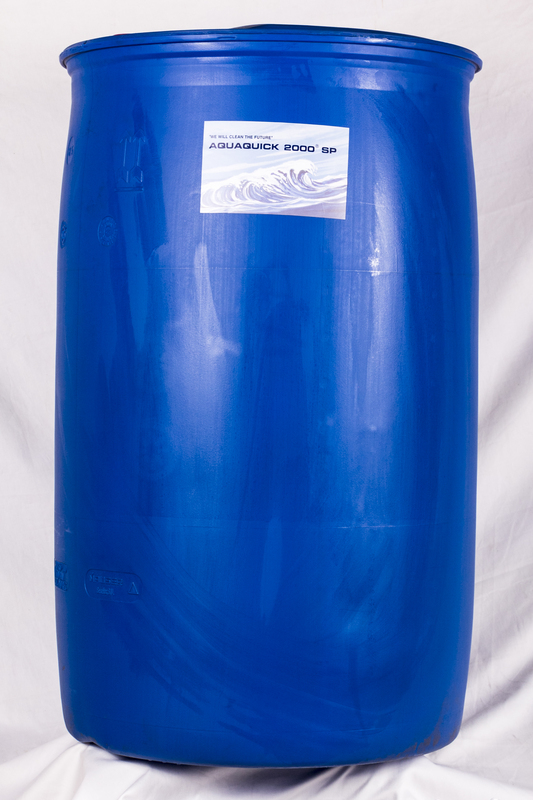 AQUAQUICK 2000 SP is distributed by AQUAQUICK GLOBAL. It is a product that is not just user friendly, but an eco-friendly oil cleaning solution as well. Using the product, you will find it very suitable to clean and remove all mineral, animal, vegetable and synthetic oils and greases (hydrocarbon). 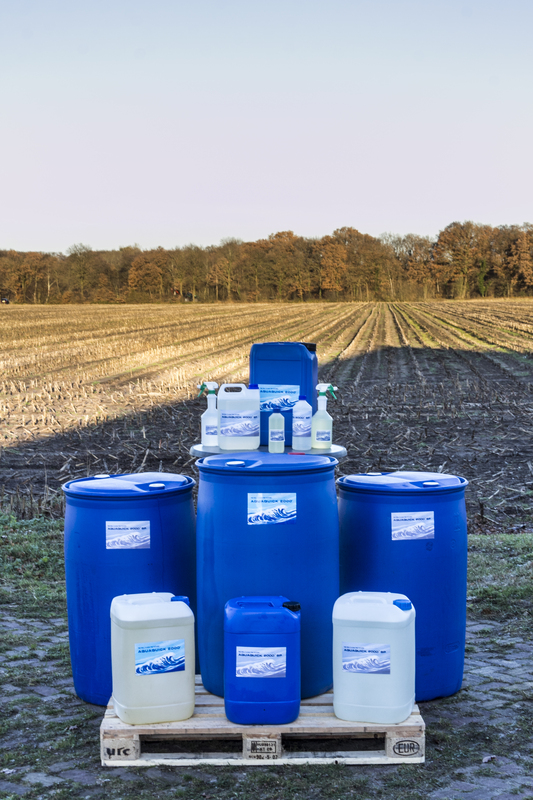 You no longer need to struggle cleaning the surface using strong chemicals that may potentially affect your health and the safety of the environment, specifically the plants and trees. With AQUAQUICK 2000 SP you are guaranteed with a healthy environment and healthy air. 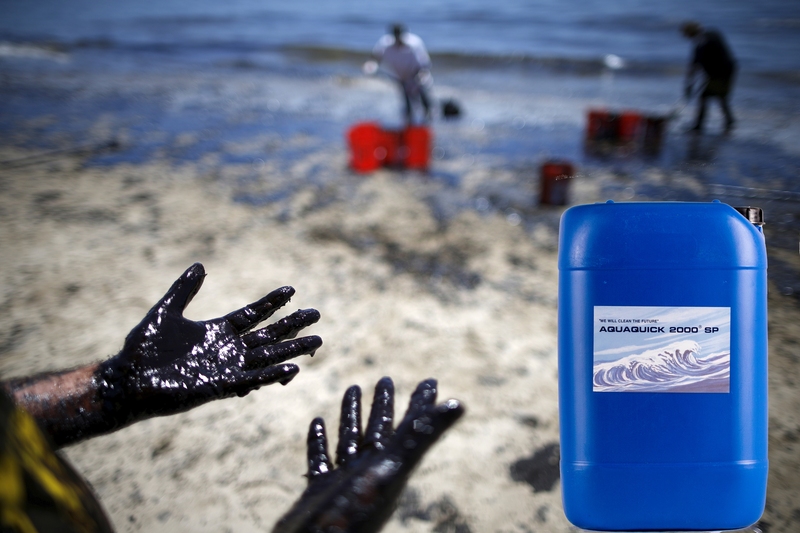 Unlike our first product AQUAQUICK 2000, AQUAQUICK 2000 SP does not accelerate the biodegrading of the hydrocarbon pollutions. 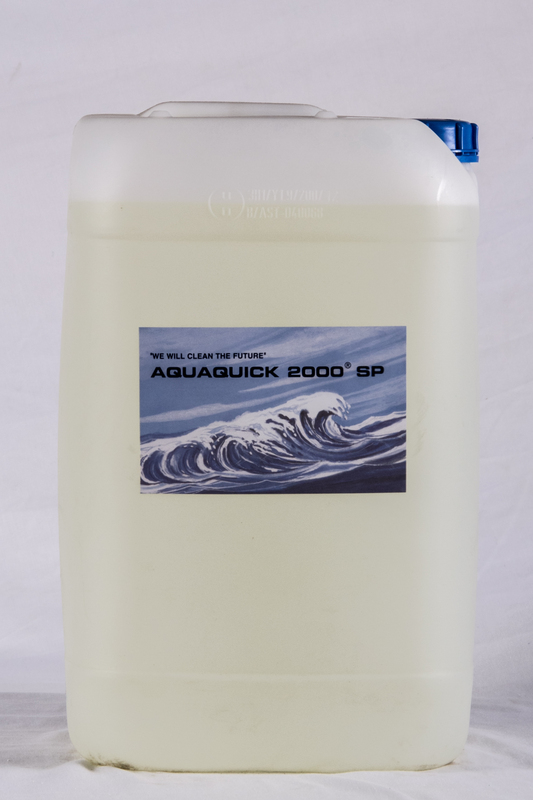 AQUAQUICK 2000 SP is considered as fast splitting degreaser/surfactant, which has been developed for situations, wastewater is drained in to the sewage system or environment whilst using a grease separator. while the use of grease or oil separator takes place. AQUAQUICK 2000 SP has been tested as well as approved by TUV in Germany. AQUAQUICK 2000 SP has the TUV certification for fast splitting cleansers according to the German regulations. 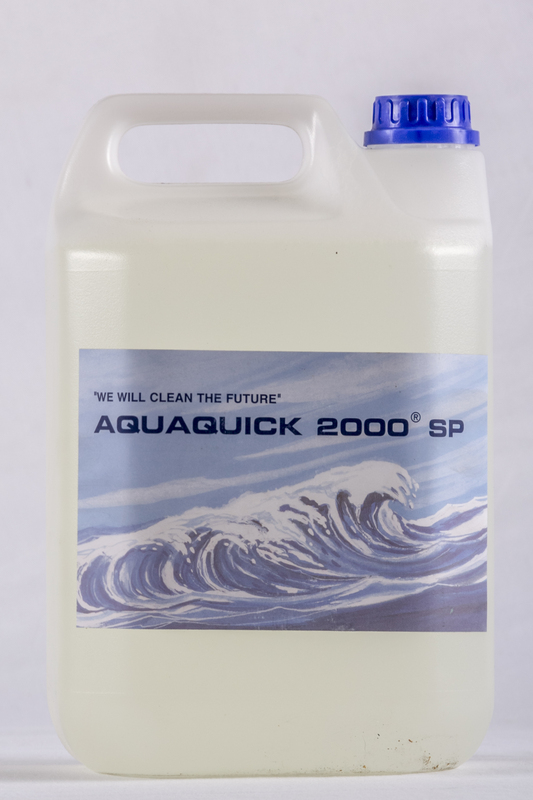 AQUAQUICK 2000 SP is the friendly solution for all types of cleaning applications.